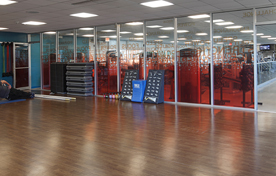 Companies, churches, youth and sports leagues are welcome to rent the indoor and outdoor facilities at the Ellis Athletic Center in Newtown Square, Pennsylvania. Our athletic facility offers outdoor fields are perfect for team sports such as softball, kickball, soccer, and volleyball. We also have a full-court gym for basketball, volleyball, dodgeball, pickleball, and more. Call our Newtown Square gym at (484) 200-7774 for more information.